Do one thing. Next time whenever you visit Google Play Store, just take a look at all the apps developed by Google. Believe me, it will be really hard for you to go through all of them at once. Few weeks back, we saw Google launching a new Android application specifically for video chatting named as Google Duo. Now, I am not sure how many of you have been using it, but this is something that has already been taken care by Skype or Google Hangout and hence it was not there on my android phone for a long time. Yesterday, we came across a news that Google has released a new smart messaging application known as Google Allo (well, that’s a cute way of saying ‘Hello’). Well, lets take a look at its most important features which makes it really smart. 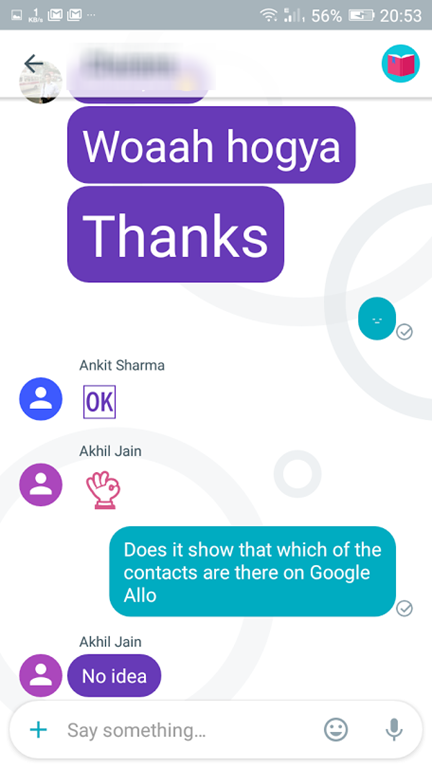 As of now it does not show that which entries in your contacts are there on Google Allo but you can choose to message anyone in your contacts. If he does not have Google Allo installed on thisHe/She will receive an SMS about it. You can simply hold on to your send button and then drag it upwards to send a really large font message. While, chatting on Whatsapp or Facebook Message you might be using ALL CAPS to shout or send any important message. However, this is that something has already been taken case by Google Allo in this unique feature. 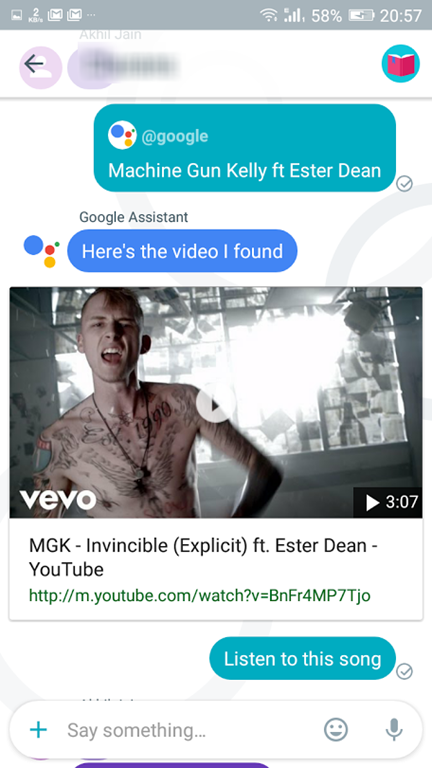 This is actually the best part of Google Allo. You can always use this as your personal assistance (exactly the way you have been using Siri till date). And Guess what?? Its really hard to out perform Google when it comes to correct answers to the questions asked by you. Just order any command or ask anything and it will do it for you right away. Lets say you want to set a reminder at 2:00 PM tomorrow. Now, you just need to text “Set a Reminder” and the bot will automatically ask you about the other details such as date time and the subject of that reminder. Now if you have been using Gmail as your primary email client then you can also ask anything related to your mails. Example – “What is the last email from Abhishek Bhatnagar” or “When is my flight tomorrow?” or “What are my pending bills for this month?”. You can even subscribe to get notifications about fresh news daily at 10.00 AM in the morning. This is not only true with Gmail but all other Google based services that you have been using like Google Maps, Google Photos and more. It might take its own time, but results will be highly accurate. In short, this is a great assistant that you can get on your phone. Now you wont have to leave the application, go to Internet browser, search for that funny youtube video and then paste its link in your group chat or personal chat. You can just type ‘@Google’ and then follow it by the query that you will Google such as ‘Funny dog videos’ and Google will pop that results right away in that chat window. It definitely saves lot of time for me. 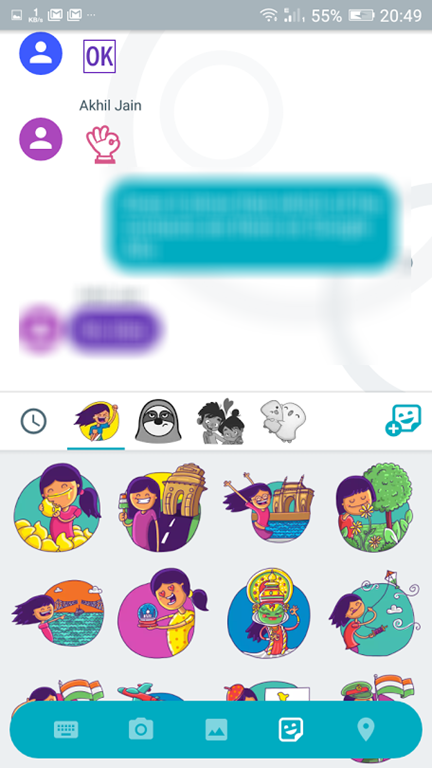 I always feel that like other messengers Whatsapp never included stickers on their chat. Probably because they add lot of noise and really less value to that quality of chat. Moreover, that huge variety of emoticons are enough to express any kind of emotion. Another reason could be that they make your application really slow, especially if everyone in your group chat keep on using them again and again. However, Google Allo has them and along with that they also have the feature of doing some art work with any image before sending it across. This feature is something that is common across most of the popular messaging applications out there. Unlike other applications there are no pemium stickers, hence all of them are available for free. This is a great feature which never arrive on WhatsApp. There are times when you would want to discuss something secretive/personal over your messaging app but then that chat never goes away on its own, unless you manually delete it. This feature is already there in some of the other popular applications such as WeChat, Line Messenger and Telegram and Google Allo also joins the list. You can opt to start a conversation that is completely encrypted and will be automatically destroyed after a certain time defined by you. Can you see that small clock at top right corner in the screenshot? It indicates that the chat will be deleted after an hour. Yes! you can change that time period to whatever you want to. 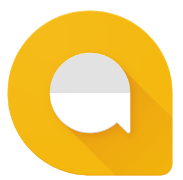 So these were the five most important features of this new messaging app – Google Allo. There are many feature that are there is WhatsApp which are missing here, but I will only highlight the important ones. You cannot forward any video or Image that has been shared in the group. Once that gets downloaded in your album, you can choose to repost that again. Just remember that by default it will automatically download all the media that comes in. Another important that you will miss with Allo is sharing documents of different formats such as doc files, pdfs and txt files. Great Design and only 10 Mbs. Google is the best only search engine that we use these days (No offence to Bing though) and that is because of the authenticity of results which are displayed by it. If you can get that kind of response in a chat windows as an assistant in a smartphone application, then it is really hard to beat that experience for any messaging app. The application is still in its preview edition and hence it is quite obvious that you will come lot of bugs and delays while completing few actions. Example – If you choose to talk rather than type on Google Allo then it will probably hang or take lot of time in converting speech to text and then responding back. So, I would say that don’t keep your hopes too high because this is just a start of a smart messaging application and as we know with continuous improvements it might just give a nice fight to WhatsApp.